"I guess today, I'm going for a 50s look. In general, I like the 50s, mostly because my figure is hourglass." Diya blogs at diyainherstilettos.com. 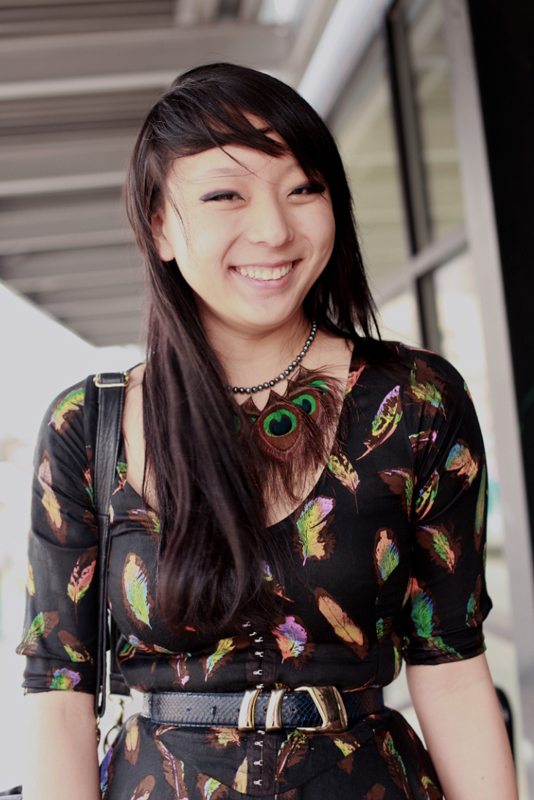 Love the feather print on this Motel dress and how she accessorized with a feather necklace. I like the look of "more is more," especially in piled on orange-y gold jewelry. High heels are required, given the name of her blog. Diya actually won a ModCloth gift certificate for having the highest heels of any of the attendants of the TxSCC conference.